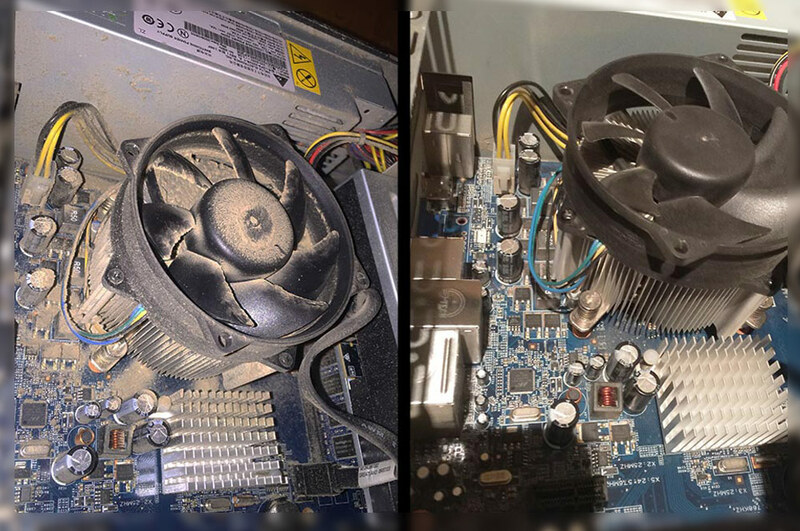 Here’s a few photos of some jobs we’ve completed recently. 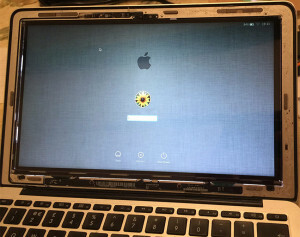 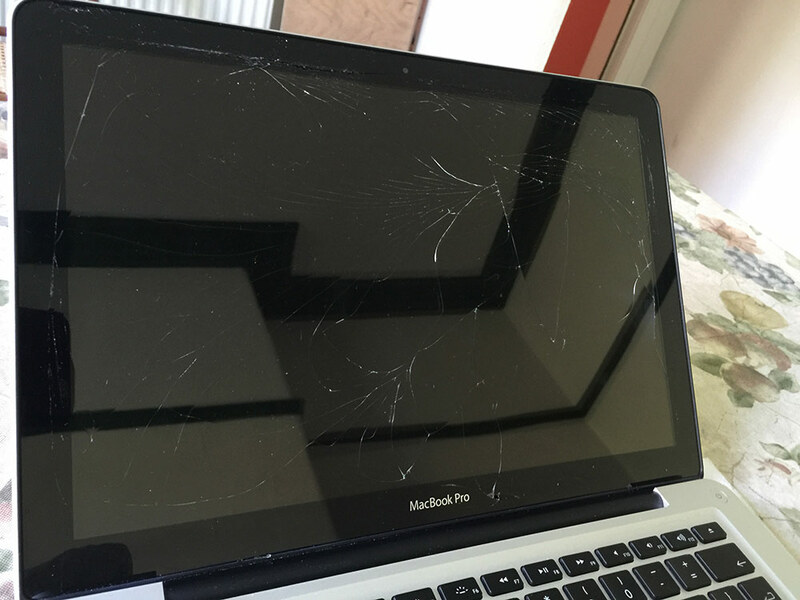 The front glass of this MacBook Pro got badly damaged in an accident and we replaced it. 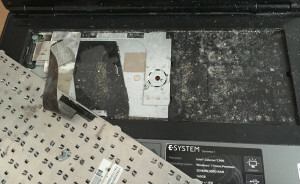 It’s a tricky job to make so no bits of dust get in the way of the LCD display. 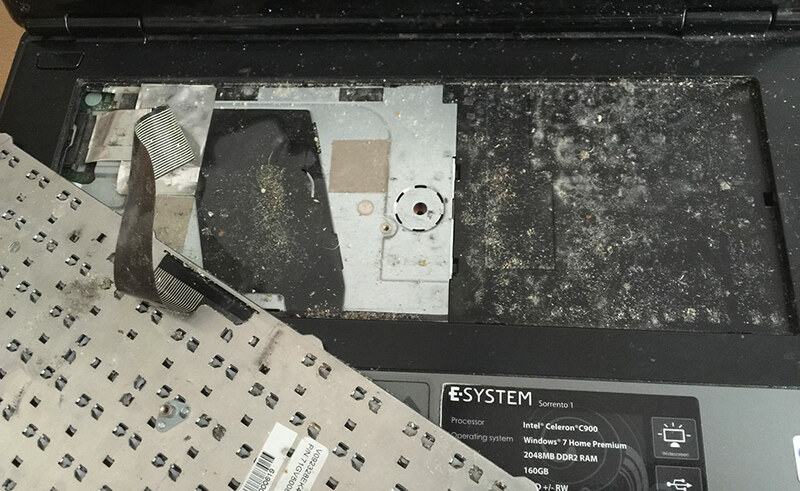 While diagnosing a laptop we had to remove the keyboard and found this dust and dirt! 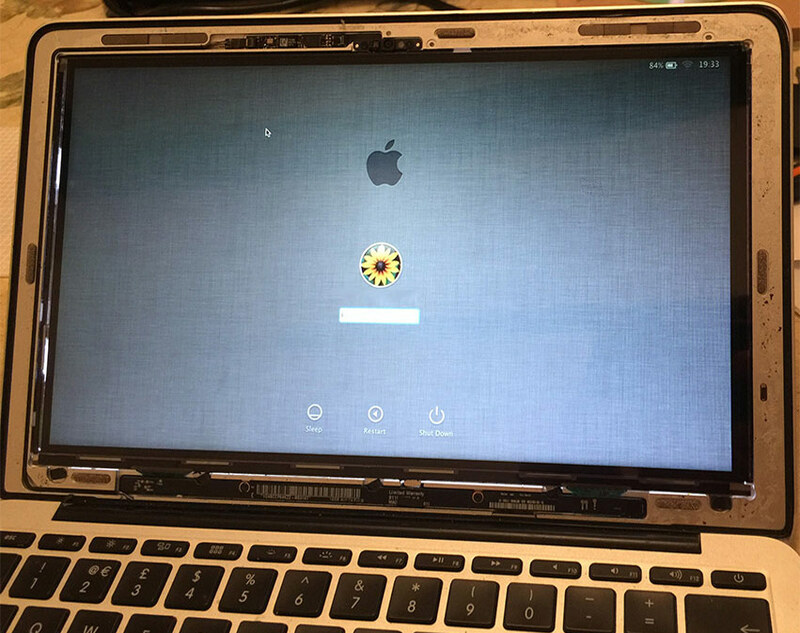 Part way through replacing a MacBook Air LCD screen. A very tricky task! A HUGE amount of dust and dirt on a heatsink of a laptop. 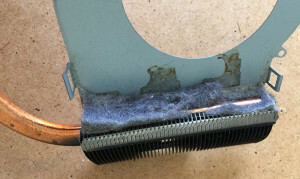 The machine ran at normal sound and heat levels after a good clean.